Have you heard? The Cohousing Team is working to create a dream and we would love to have you join us! We will present our work-to-date and invite you to join in a conversation about Mayflower friends aging together in an intentional community built by us to meet our unique needs. Our dream is to create a place which is proactively designed to support aging in place, recognizes our commitment to social justice and to the environment, and encourages relationships among residents. 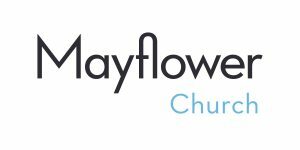 We need more Mayflower members to join us to make this dream come true! Cohousing is an intentional community of 15-20 units clustered around shared space. Households have independent incomes and private lives, but neighbors collaboratively plan and manage community activities. All members of the community take responsibility through consensus decision-making for decisions about finances and governance. Shared space typically features a common house, including a large kitchen and dining area where residents take turns preparing meals to share with the entire community. The Mayflower Commons Team: Rita Mueller, Maureen Day, Jean Echternacht, Clare Gravon, Linda Haugen, Susan Lampe, Fred Mackaman, Helen Nikiel, Cindy Richter.